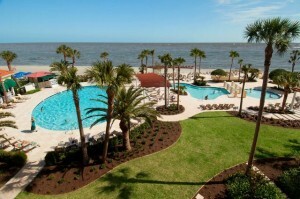 Patricia Mack reviews her stay at The King and Prince in Gayot. Peering through the balcony doors of an oceanfront room at the King and Prince Beach & Golf Resort, it is hard to keep in mind the rich and complex history of this locale. 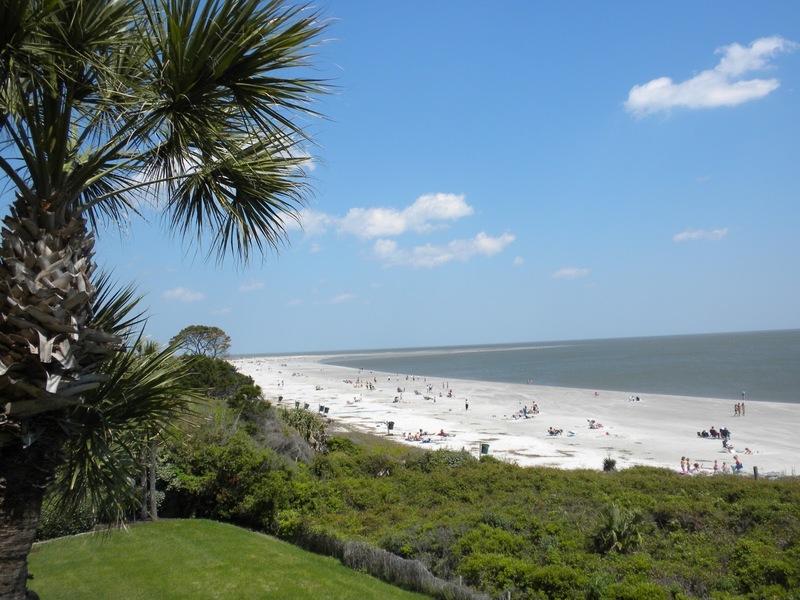 St. Simons Island, a barrier island just off Georgia’s coast, has seen political turmoil and conflict, and yet, looking out on the Atlantic’s breaking waves, how could one think of anything other than the panoramic vistas and glorious natural beauty? Tides come and go, herons feed and sea breezes fill the air — this has been the backdrop for generations of guests who have stayed at the King and Prince, a 75-year-old gem of a resort, designated on the National Register of Historic Places and a member of Historic Hotels of America. 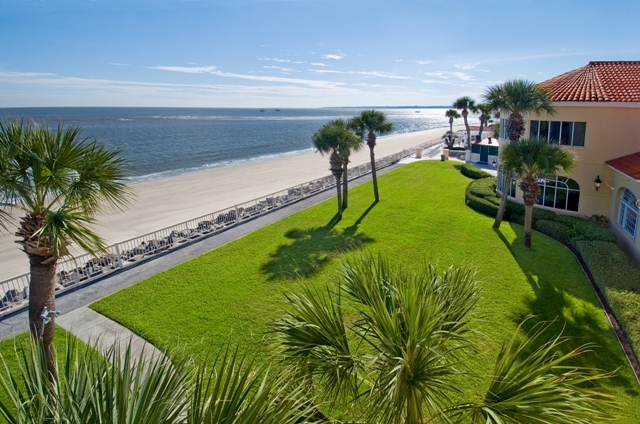 Originally a private dance club, King and Prince served as the social center for the small community of residents and visitors to St. Simons; it has emerged in the 21st century as a modern resort that retains the Southern charm that made it famous. Modern updates include Wi-Fi-equipped guest rooms and the addition of a spa — The Royal Treatment Cottage — where mind and body can find repose via aromatherapy and reflexology. Among the high-tech touches, guests can enjoy a 3-D animated flyover of the resort’s golf course available on the Web. 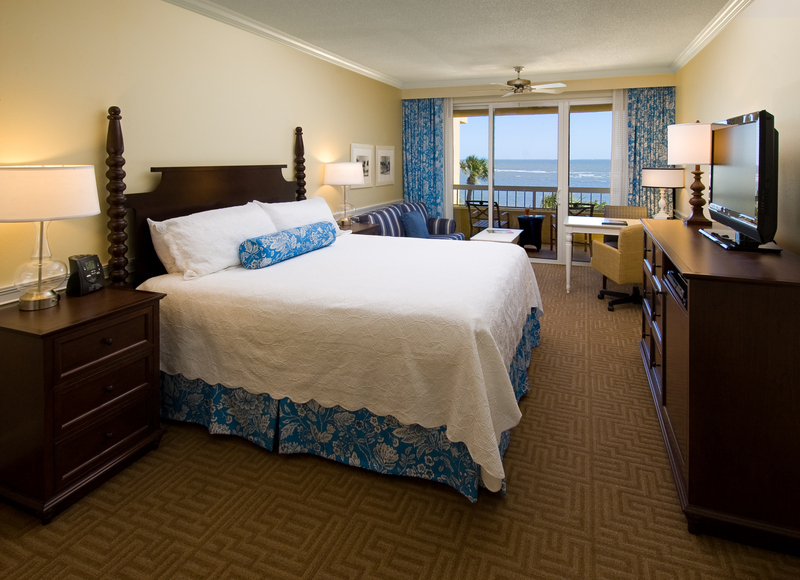 Guest accommodations range from the Oceanfront Building, where rooms have either a terrace or private balcony, to the historic Main Building, with some tower rooms, cabana rooms and suites with Ocean Views, to the Oleander Building, a separate three-floor retreat just a short walk from the main hotel. The resort also offers two- and three-bedroom beach villas on the ocean. 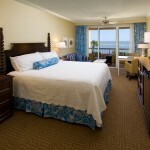 All are beautifully furnished with comfortable beds, sofas or chairs and dressers and armoires. The health-conscious will appreciate the exercise room, tennis courts and five seaside pools including an indoor pool and a hot tub. While for those who simply enjoy a walk or a bike ride, there are paths along the beach. When the tide is out, the beach itself, with its hard-packed sand, attracts runners, joggers, bikers and strolling couples. The King and Prince Golf Course is just a few miles away on the northern tip of the island, offering a great golf exprience, with four spectacular island holes, in a beautiful setting — emerald fairways are nestled within ancient forests and a vast salt marsh. There are three dining rooms at the hotel, all with oceanfront views, but the most notable is the Delegal Room with its stained glass murals and popular Friday night seafood buffet. Don’t miss the signature shrimp and grits with burgundy gravy, along with maybe a pitcher of white sangria, laden with fruit and perhaps some peach cobbler. If you’re a history buff and can manage to pull yourself away from the dazzling sunsets and hypnotizing rhythms of the sea, there’s a storied past waiting to be uncovered. The hotel can help arrange tours or provide walking tour maps. Bicycle rental shops are located nearby. Guided trolley tours with often entertaining and always informative narrative provide an overview of this remarkable little island. There is also a museum highlighting St. Simons’ coastal heritage located at the base of the centuries-old St. Simons Island Lighthouse. For history fans, the Maritime Center at the old Coast Guard Station on East Beach is open daily with artifacts and photography from its days as an important training base as well as displays of the area’s ecological systems. Christ Church, erected in 1884, marks the spot where John and Charles Wesley held services under the oak trees in 1736. Now, the second oldest Episcopal church in Georgia, it is also the third oldest in the country. It is perhaps the most lovely and pastoral of the many sites that make this island, and a stay at this hotel, so memorable. Ava Roxanne Stritt blogs her second article about The King and Prince. This time she raves about her massage at The Royal Treatment Cottage. When visiting St. Simons one must be sure to not miss The Royal Treatment Cottage at The King and Prince Resort Golf and Spa Resort. When entering the cottage you automatically feel as if your dearest oldest friend called to invite you over to her island cottage and when she so graciously answered the door you found that she had turned her entire home into a spa cottage – just for you. Immediately upon entering it is as if the only goal here is for you to feel relaxed and at ease. Comfort seems to be a priority here and that is what you get. In the lounge you are offered a cup of tea or whatever your palette desires. Yes you can hear the ocean sounds here, since you are only a few feet from the ocean. 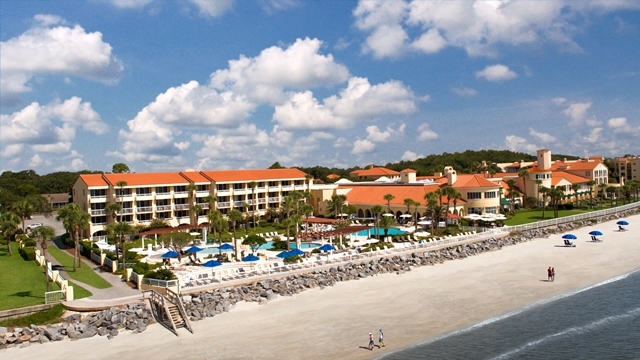 Also it is only steps from The King and Prince Resort Golf and Spa Resort, which alone is a treat. When you are ready to disrobe here, you are given a lovely tote with the name of the spa embroidered on it. Soon these lovely totes may be available to purchase to take home with you, but for now it will safeguard your belongings and travel with you throughout your experience. Don’t worry though you do not have to carry it yourself if you do not want to. For that matter, no one at The Royal Treatment Cottage at The King and Prince Golf and Spa Resort on St. Simon’s Island expects you to lift a finger. A massage here will leave you without a care in the world, so much so that you may need to not plan anything much for the rest of the day. Just enjoy your day of Zen from the beginning to end. The treatments here are customized to your own personal needs. If you are unsure of which to one to reserve the thorough masseuse will ask you a few questions to make sure your needs are met. Do not be shy about any questions here, since the feeling of being in a friend’s spa cottage continues throughout your visit. All here have a true caring touch whether making your ears feel loved during a massage to serving your tea. Also found here are herbal neck wraps that are unmatched anywhere else. Drop by to pick some up for gifts. Also take a look at the lovely array of lotions with island aromas with either a soothing or uplifting scent. To continue your experience stay at The King and Prince Spa and Golf Resort in one of their many types of accommodations that includes deluxe rooms, suites, villas and cottages. The most popular of which is the Tabby Cottage that sits just steps from The Royal Treatment Cottage. 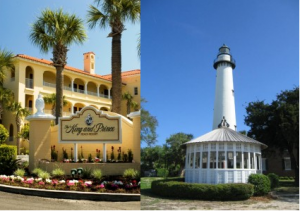 Ava Roxanne Stritt blogs about her recent stay at The King and Prince and the many activities she discovered on St. Simons Island. When passing by a doorman when entering a resort you expect to hear “Be Our Guest”, but would you expect this out of each and every resident in the entire town? You have not just arrived to Fantasy Island, but visit St. Simons Island and you may wonder if you have found yourself in a mystical place. A place where everyone may not know your name, but sure act as if they want to get to know you. This has to be the most hospitable town around even for the South. It is enchanted by many locals who are the most gracious hosts around; whether you are in their establishment or just crossing the street. It is as if their goal in life is to make sure that each and every visitor to the island has the most enjoyable vacation of their life! Close your eyes, now imagine a sleepy little quaint southern town; add a historic resort The King and Prince, an ocean, a white sandy beach, fine dining with top chefs, loads of bike trails, plenty of nature and yes even a spa cottage. The result is a place that many may not believe still exists. While there one will discover that St. Simon’s Island is a real live breathing town with two schools, opening day little league baseball and community residents with lifetimes of stories. When you travel to St. Simons, you too get to become a local. Hang out by the village pier for the 5 o’clock breezes and you may even be privy to some local gossip. In the coming days I will be sharing more about this amazing destination where one can get lost in being a foodie, a cyclist, an art lover, a beach bum and more! I look forward to telling you about the treasures I found on the island while staying at The King and Prince Resort!